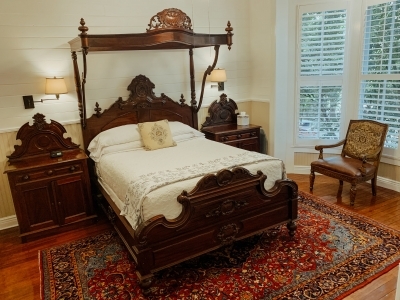 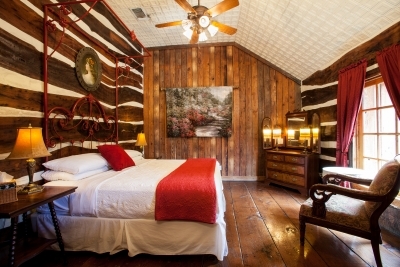 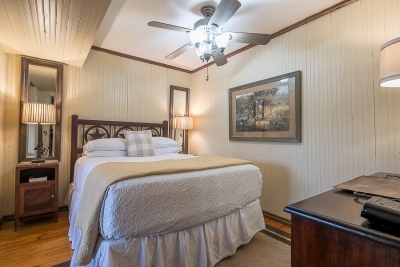 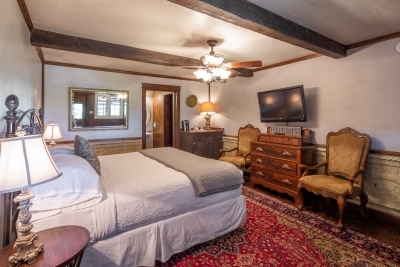 One of our two larger river view rooms, the Bluebonnet Lodge is perfect for families or a friends getaway weekend. 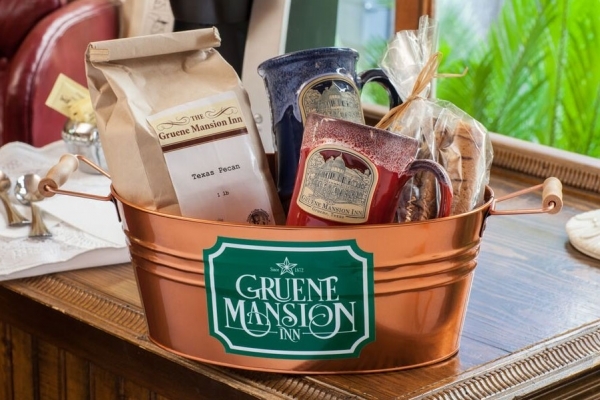 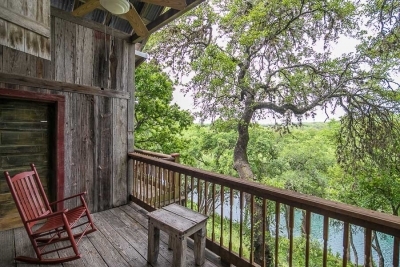 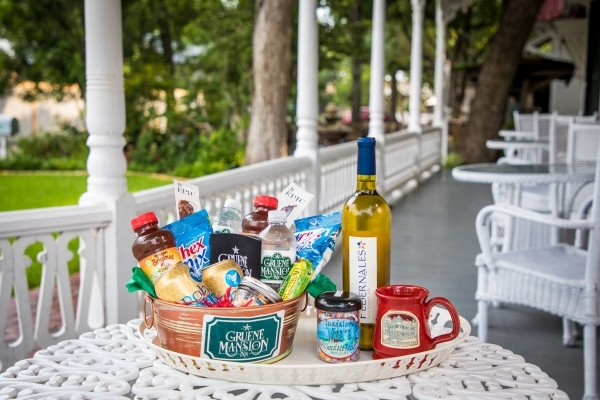 Enjoy the relaxing view of the Guadalupe River on the front porch with rocking chairs. 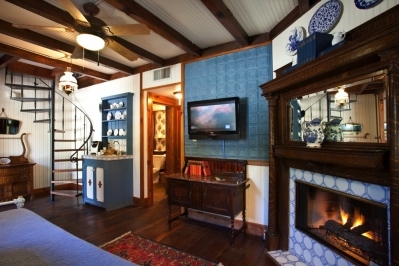 The main sitting area has a daybed with trundle, mini refrigerator, cable tv, Keurig coffee maker and microwave. 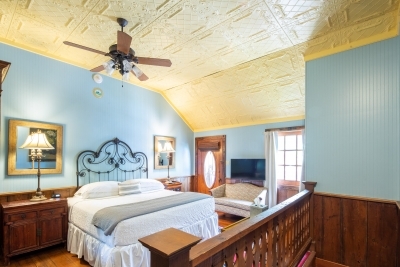 The bedroom has a queen size bed and the open upstairs loft has a full size bed. 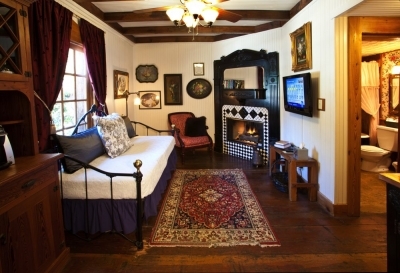 The bathroom features a antique claw foot tub with shower. 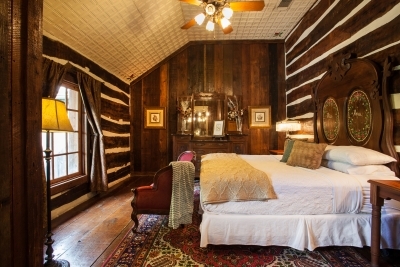 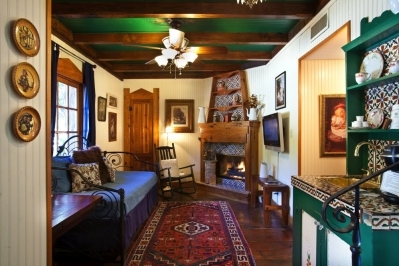 This room is priced for 4 guests but can accommodate up to 6. 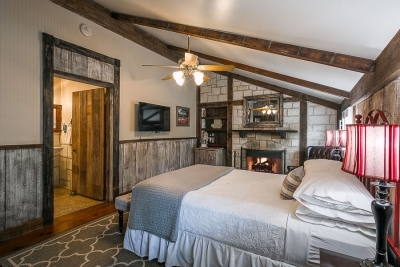 There is a $25 charge/each for the fifth and sixth person.